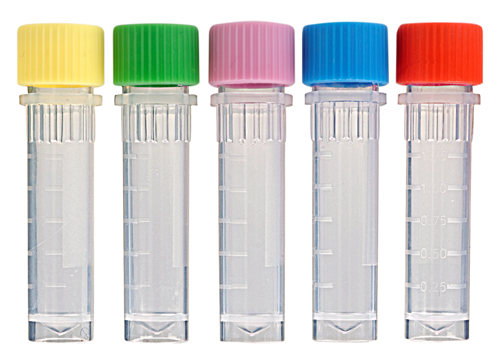 The multi-purpose design of National Scientific screw-cap vials serve a wide range of life science laboratory needs, such as sample collection and processing, centrifugation, long-term storage plus the packaging/shipping of valuable biological reagents such as Antibodies, Proteins, and DNA & RNA Oligonucleotides, etc. The unique 2½ turn threaded closure design ensures cap and O-ring are uniformly compressed to achieve unparalleled secure sealing. 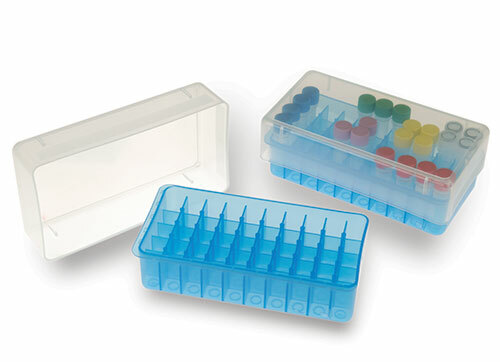 Caps, available in 5 colors plus natural, have a 3mm syringe port which is pierceable for access of hazardous materials or fraction collecting without opening. 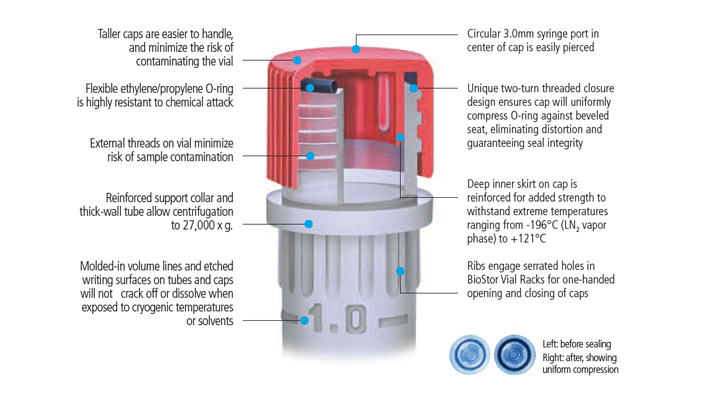 The uniform, thick walled tube construction, with reinforced support collar, allows centrifugation to 17,000xg. Manufactured from inert, LN2-grade polypropylene, sample viability is protected at extreme temperatures ranging from -195°C (LN2 vapor phase) to +121°C.